The Collected pillow from Bloomingville is characterized by its casual fringe look, which ensures cosiness in every ambience. The cover of the cushion is made of 100% cotton. The surface is decorated with a diamond pattern characterised by different structures. The fringes are especially eye-catching and remind of the Bohemian style, which sets natural and lively accents in the living area. Arranged on the sofa or armchair, the cushion is wonderfully inviting and makes any room immediately homely. The cover has a polyester filling, which can be easily removed with a zipper. This means that the cover can be washed easily if necessary. Collected cushion of Bloomingville in single view. 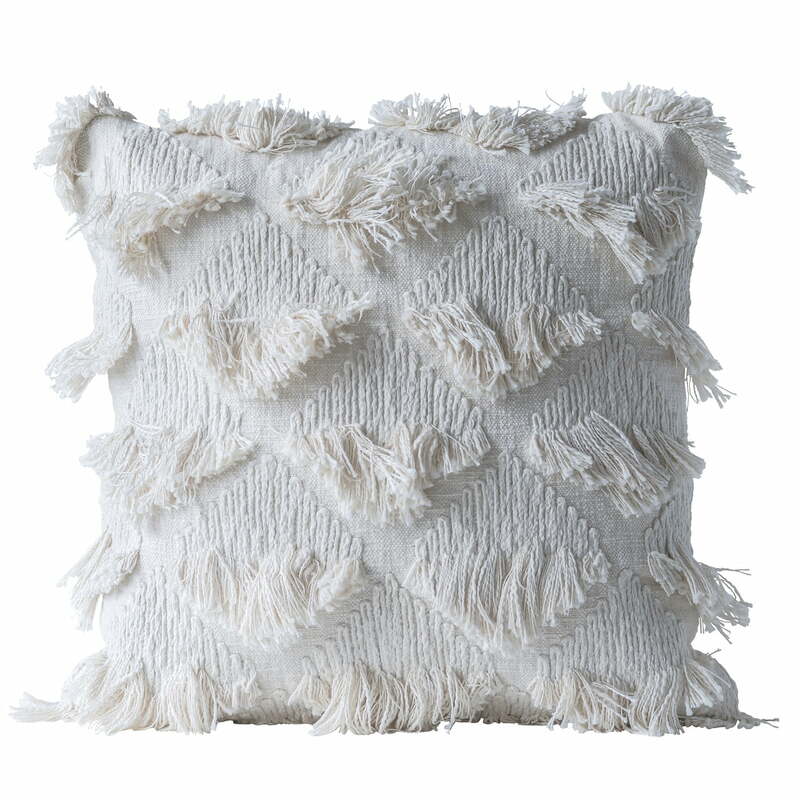 The Collected pillow from Bloomingville is characterized by its casual fringe look, which ensures cosiness in every ambience. Collected cushion of Bloomingville in the ambience view. 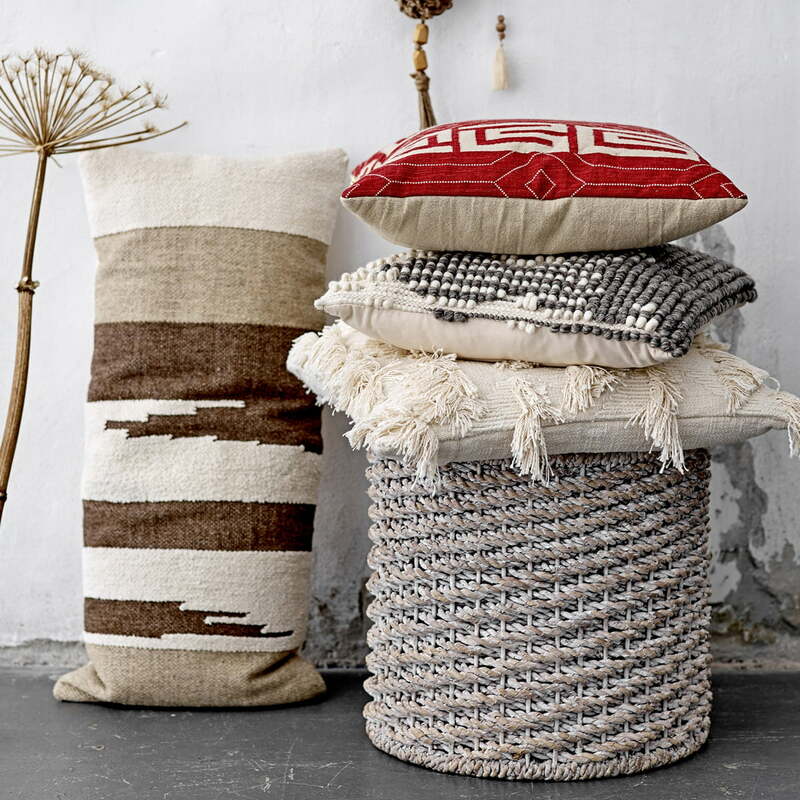 Arranged on the sofa, stool or armchair, the cushion is wonderfully inviting and makes any room immediately homely.